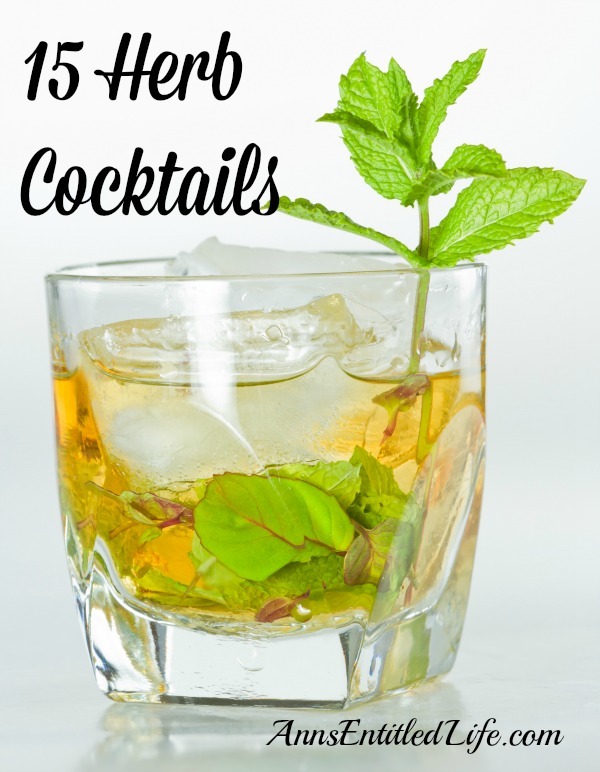 • Use your herbs as a cocktail garnish. • To use your leafy herb in a cocktail, muddle it (smush in the bottom of the glass with a muddler). • To use your non-leafy herb in a cocktail, boil it down with equal parts sugar and water to make a flavored simple syrup (simple syrup is just sugar and water, the herbs add flavoring). Fresh herbs add beauty, interest and flavor, enhancing the drink experience. Here are 15 herb cocktails for you to enjoy. I can’t wait to try them all! 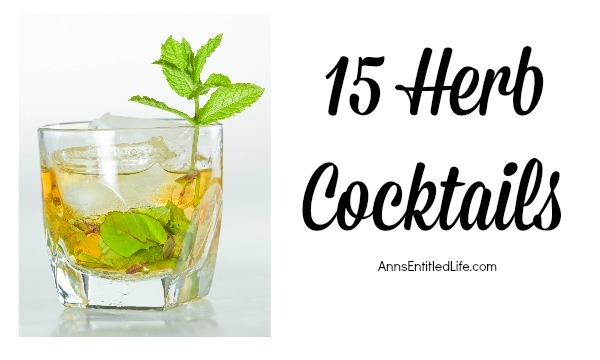 15 Herb Cocktails you can try! For more Liquor and Wine tips, cocktail recipes and reviews, click here. For more How Does Your Garden Grown posts on Ann’s Entitled Life, click here. thanks for including our infused vodka post!